When it comes to coupe-styled SUVs Mercedes-Benz has been strangely absent, which has been good news for BMW and its X6. 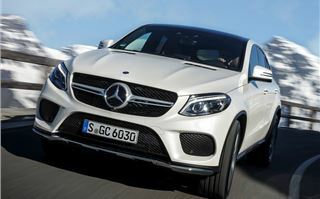 But now Mercedes-Benz is muscling in with a sporty, swoopy SUV of its own - the GLE Coupe. 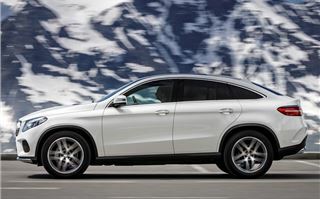 Like its BMW rival, the GLE Coupe is unapologetically bold and aggressive in the styling department. The exterior is dominated by a huge horizontal grille, bulbous wheel arches and sweeping contour lines, while the rear gives a clear nod to the S-Class, with thick pillars and wraparound light clusters. 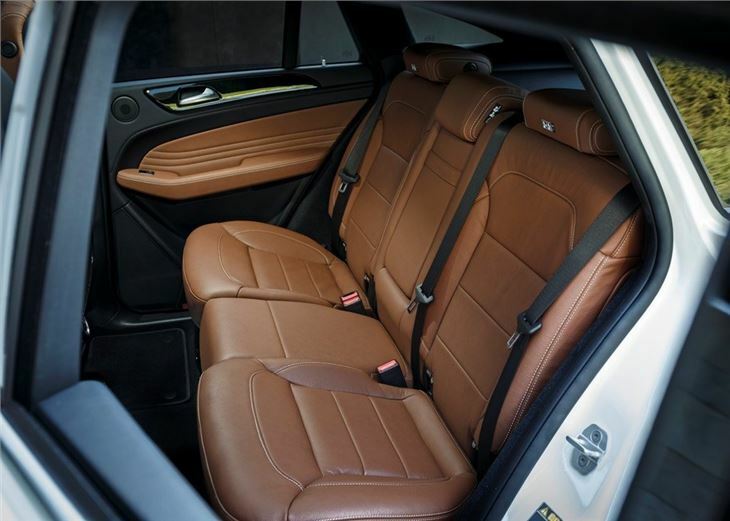 The GLE Coupe is not a car for the shy and retiring type. Like the X6, it will divide opinion. However, regardless of which side of the fence you sit, there's no denying that the GLE Coupe is distinctive, even if under the skin it's not all that new. Look beneath the swoopy, snappy exterior and you’ll discover that this design-focused SUV is actually based on the ML - soon to be renamed the GLE. This means the five metre long and two metre wide Mercedes-Benz gets permanent four-wheel drive and the choice of three engines - two petrols and one diesel. The headline grabbing powertrain is the 5.5-litre V8 AMG (badged as the 63 S), which offers a colossal 585PS and a 0-62mph time of 4.2 seconds. 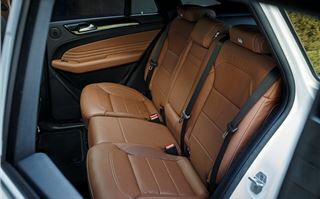 A more sedate 367PS V6 petrol (450 AMG) is also available, but the biggest seller will be the diesel 350d, which uses a turbocharged 3.0-litre V6 with 258PS. Admittedly, the diesel marks the entry-level in the GLE Coupe range, but it's by no means the runt of the litter. On the contrary, the V6 diesel is extremely potent with 620Nm of torque from as little as 1600rpm. This means the 350d is packed with torque and will cover 0-62mph in a respectable 7.0 seconds, while returning a claimed 39.2mpg and emitting 187g/km of CO2. 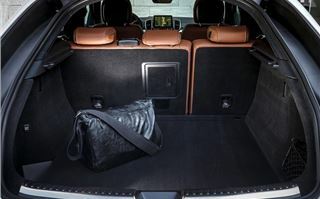 With its familiar underpinnings, you might think that the GLE Coupe is simply an ML in new clothing, but Mercedes-Benz has made some important upgrades in the handling department. 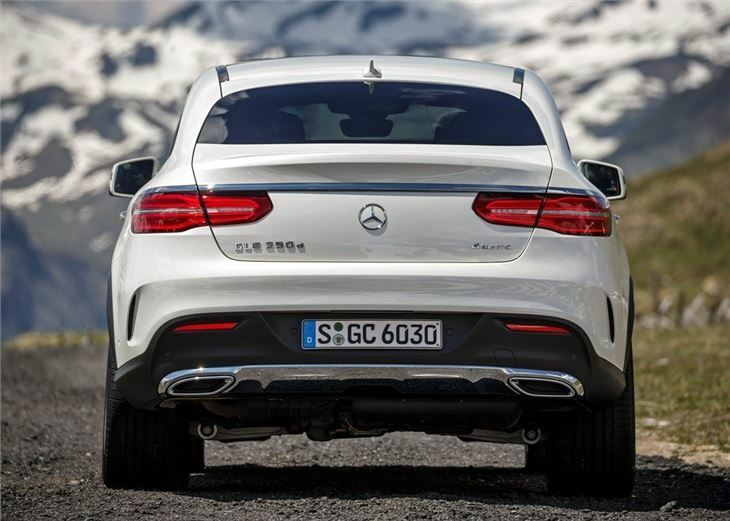 For starters, self-levelling air suspension and active damping is standard, which means the GLE Coupe absorbs bumps a lot better. 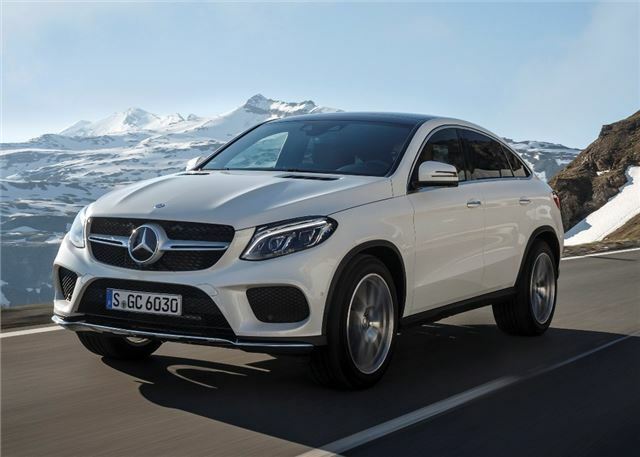 The GLE Coupe also gets a nine-speed automatic gearbox and a new steering system, which provides better handling and feedback through the wheel. 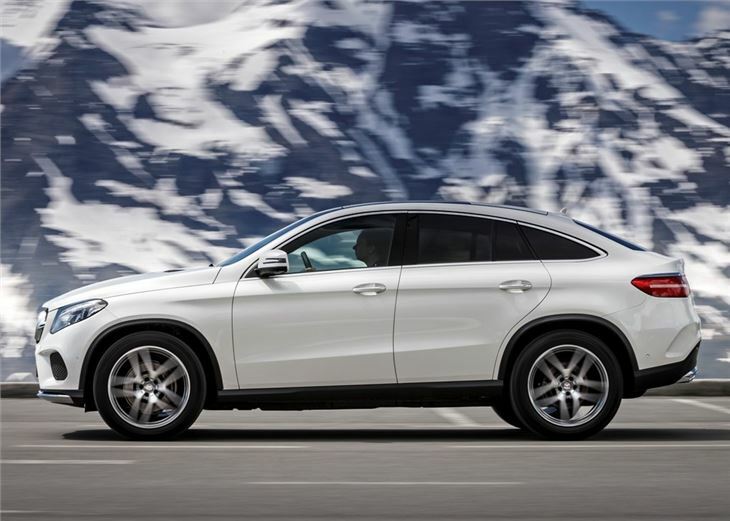 As a result, the GLE Coupe outshines the old ML on almost every level, with strong performance in the corners and a balanced, cushioned ride that almost allows the driver to forget that 21-inch wheels are fitted as standard. The diesel V6 works extremely well with the portly dimensions of the GLE Coupe, with responsive acceleration and a rewarding thrum when pushed hard. Likewise, the nine-speed gearbox is impressive, with well-judged changes on both the up and downshift. 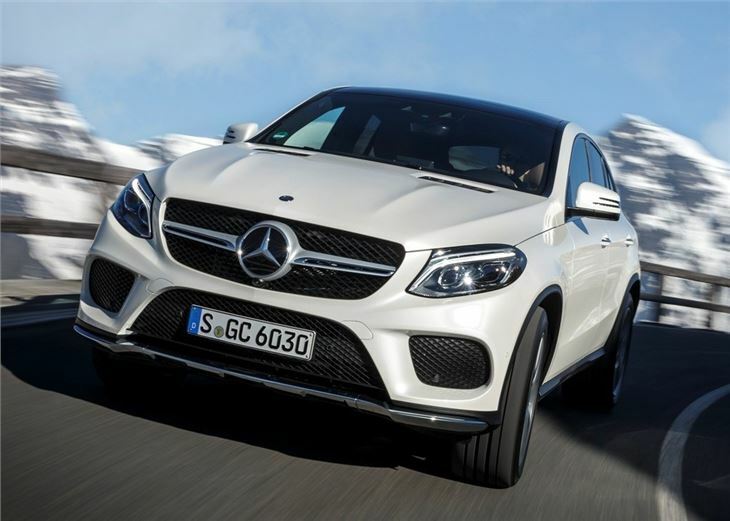 Admittedly, the steering can feel a little overpowered and vague on demanding roads, with its considerable weight making it a little cumbersome on tight twists and turns, but for the most part, the GLE Coupe manages to provide a rewarding drive. 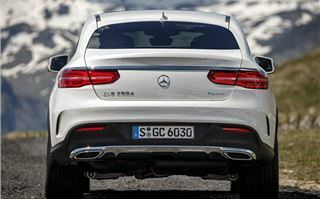 There's no hiding the GLE Coupe's huge size though and even on Germany's wide autobahns and spacious A-roads, the Mercedes-Benz filled the road. 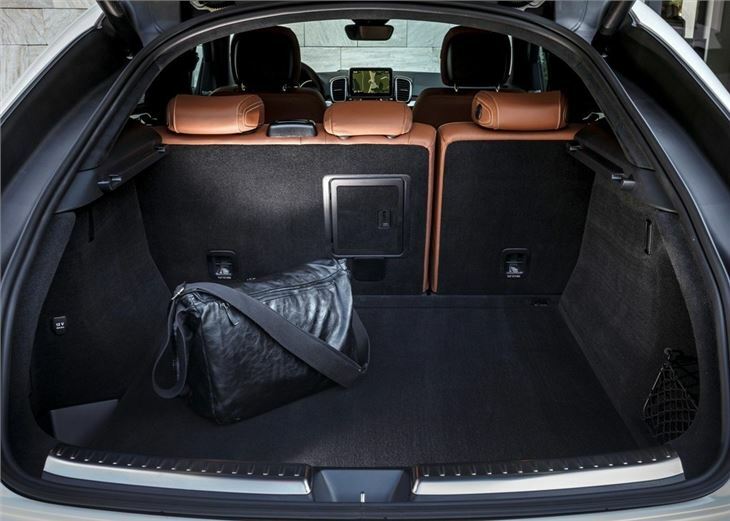 On the plus side, the cabin is spacious enough for five adults and the Coupe gets a 650-litre boot, which will extend to 1720 litres. The dashboard is dominated by a high mounted and clear eight-inch colour screen and finding a comfortable driving position is easy enough, although the thick corner pillars can restrict visibility at junctions. Navigation, leather seats with electronic controls, dual zone climate control and a powered tailgate are all standard, along with rear privacy glass and ambient lighting. The GLE Coupe also gets plenty of safety kit, which includes crosswind assist to help maintain the car's balance in high winds. So, should you buy one? Well, that very much depends on your view on coupe-styled SUVs. If you’re in the market for an alternative to the BMW X6, then the GLE Coupe will fulfil your mandate with aggressive flair and grace. However, with prices starting at £60,000, the swoopy Mercedes flies perilously close to Range Rover Sport territory and we'd struggle to look beyond the Range Rover for all-round ability and style.